I’m currently working on a project to replace an Excel based filesystem with a .NET / SQL Server solution. 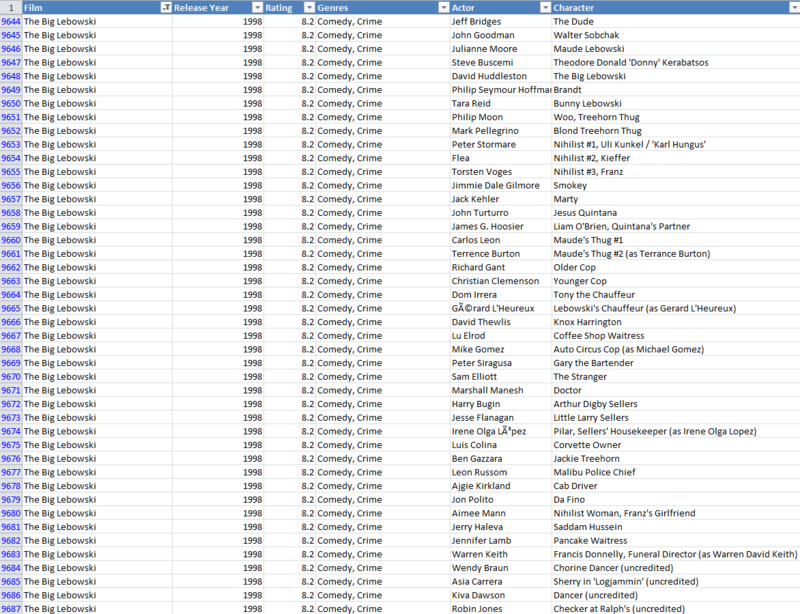 Part of the development effort necessitates the conversion of Excel lookup tables to relational database tables. Often, the Excel lookup tables are “flat file” in nature, and require normalisation. The problem here is that a lot of data is repeated unnecessarily – if a film name was entered incorrectly, it would need to be changed for all occurrences in the film column. A similar issue arises for actor names. There are clearly 2 distinct datasets here – Films and Actors. The link between these two datasets is known as a relationship; namely what films an actor has appeared in and vice versa. Combining all aspects into a single dataset (i.e. 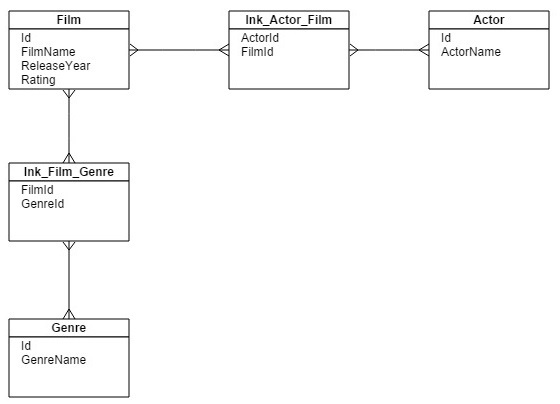 the Cartesian product) produces what is known as a “flat file” database – a single table with all info. Why do people store data like this unnecessarily? Well, it usually starts with a need to record all data about a relationship – the film details, the actor details…etc – but the subsequent analysis of the data into distinct groups is never done, and the table grows in the fashion because “that’s the way the data has always been stored”. The process of splitting the datasets up and identifying the relationships between them is known as normalisation. Here are some of the techniques I have used in my project work applied to the above dataset. The first thing to to is to import my Excel flat file dataset into a similar flat file table in my database. Normally, I would save my dataset off as a comma delimited values file, but there is an issue here as film titles can include commas as well, which would break a subsequent data import. To get around this, I use the method defined here to save my file as pipe delimited instead. 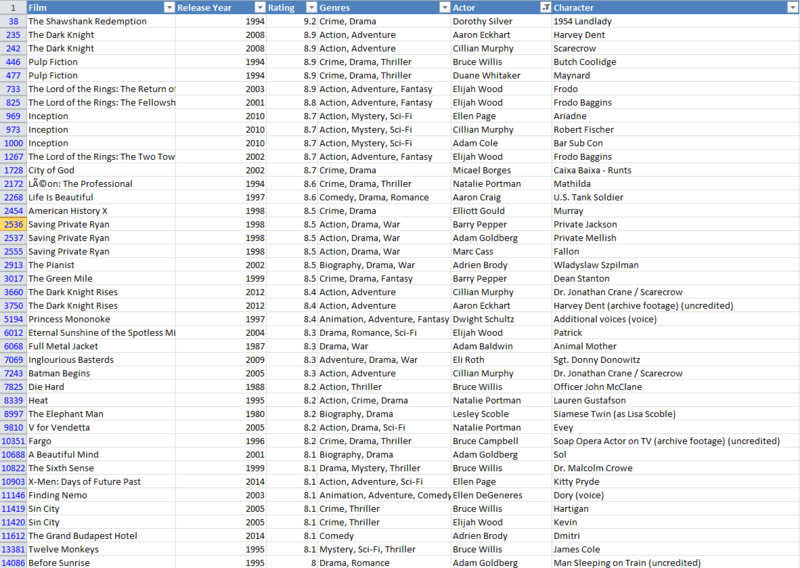 To create a Genre table (and the relationship between Film and Genre), a little more work is required due to the way film genres are recorded in the flat file.